Public art is often used to beautify spaces in the public domain and/or to convey a message. Recently, I painted and installed a mural painting to bring light to the situation of nearly 700 students that the Loudoun County Public School system has identified as homeless. There are likely hundreds more children, not in the school system, that are homeless. They sleep in cars, the woods, abandoned warehouses, or “couch surf” among their friends. This is currently taking place in one of the wealthiest counties in the United States! 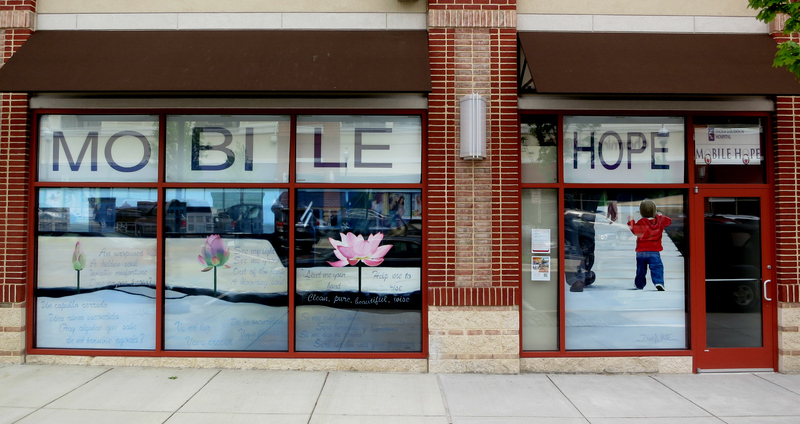 Mobile Hope is a program of INOVA Loudoun Hospital that was born out of this awareness and serves to meet the basic needs of these children through donations of food, clothing, hygiene products, school supplies, medical care and providing other helpful resources. The “I’m Here, Loudoun” mural for Mobile Hope is a metaphor for the early difficulty these youth face. 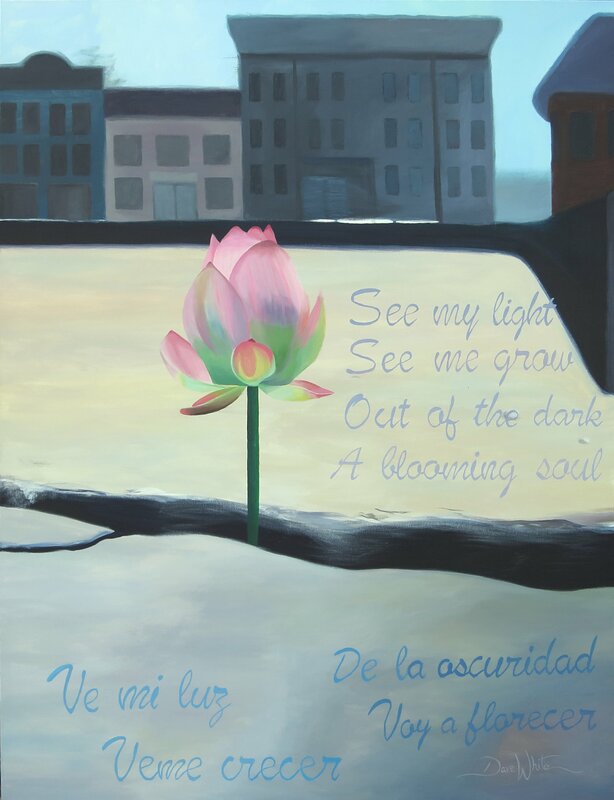 It portrays the sequential bloom of the lotus, a flower which grows out of murky darkness to become shining and radiant. Next to the blooming flower is the image of a young child walking next to a supportive adult. 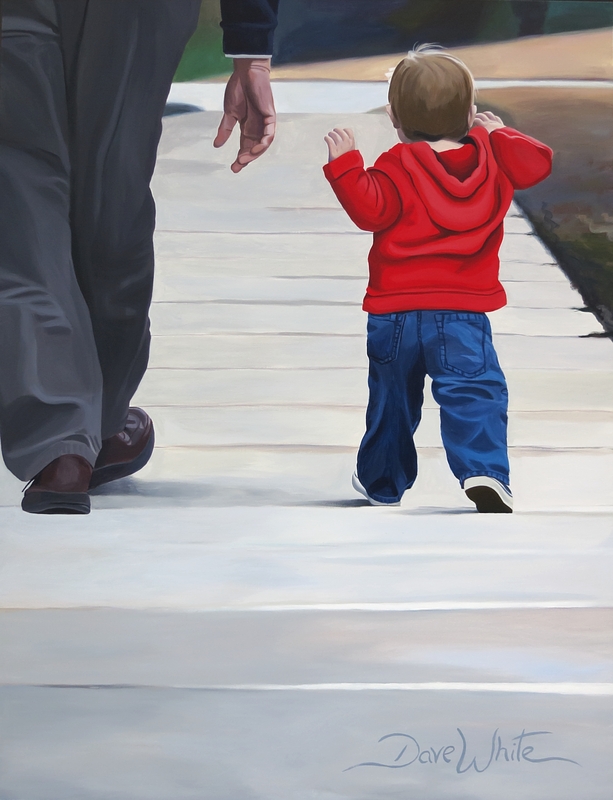 The child’s shirt is a strong red color, symbolizing all of life’s intense emotions, from anger, danger and mourning to strength, love and vitality. 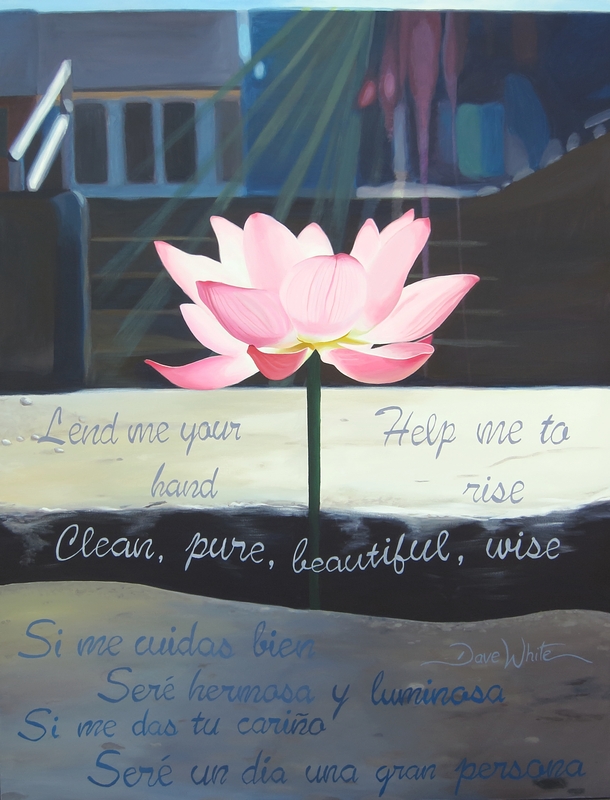 The mural and accompanying poem encompass the often hidden misfortune of homeless children in Loudoun County, yet show that with love and help from others in our community, these children can also grow and thrive. 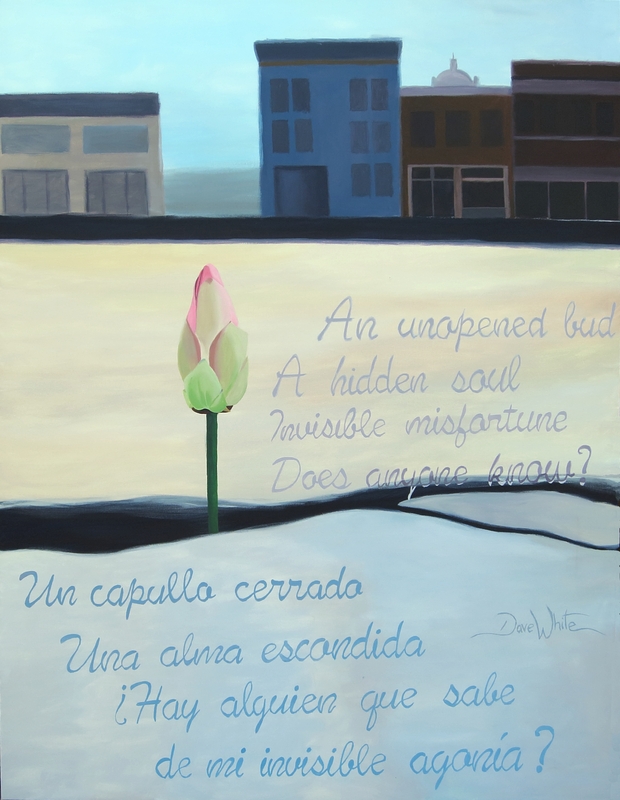 Being bilingual, I decided to also paint the poem in Spanish, as Loudoun County is home to over 38,000 Latinos, some of whom are also affected by homelessness. Invisible misfortune, does anyone know? ¿Hay alguien que sabe de mi invisible agonía? The “I’m Here, Loudoun” mural is on display at the Mobile Hope location. I hope that it can be a source of awareness and inspiration! So proud of you Dave! This is amazing work for a heart-tugging topic….